This program seeks to preserve and promote the vast universe of experiences that have shaped the lives of Maryland’s African American population. From the day that Mathias de Sousa and Francisco landed in St. Mary’s county aboard the Ark and the Dove in 1634, Black Marylanders have made significant contributions to both the state and nation in the political, economic, agricultural, legal, and domestic arenas. Despite what often seemed like insurmountable odds, Marylanders of Color have adapted, evolved, and prevailed. 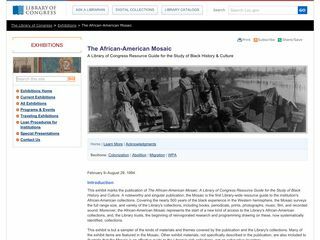 The Maryland State Archives’ Study of the Legacy of Slavery Staff invites researchers to explore all of these elements and more within its numerous source documents, exhibits and interactive online presentations.